Thanks, Amy! You're daughter totally rocks!! To those who have struggled with MS for many years, five months may seem trivial, but to me, as a so-called beginner, it’s been a long five months. I feel like I’m just beginning to understand the changes in my life, I am just beginning to learn how to deal with these changes. In other words I feel like a MS preschooler. Do you remember preschool? For most, it’s a happy time of life. MS and preschool are surprisingly similar! ABCopaxone. Preschoolers learn their ABC’s. The first thing I did was learn about was the various drugs available for MS. I chose Copaxone and inject myself daily. Did this scare me to death at first? Yes, (I may have cried) but now that I’m experienced, it’s no big deal. Nap Time. Do you remember rolling out a mat for your preschool nap? Turns out, a daily nap works great for MS too! At least that’s the excuse I keep giving myself. Recess-it’s not just for kids! Possibly the best part of preschool was recess. I have very few memories of preschool, but I do remember sliding down a slide at recess time. In MS, “recess” is simple: Exercise daily! I walk on my treadmill when possible. Something as simple as stretching also helps me feel better. I have a beginner’s Yoga App on my iPad that I’m starting to love too. Do what works for you. Arts & Crafts. Every month Copaxone shows up on my doorstep, packed in ice, in a Styrofoam cooler. The coolers are starting to pile up in our garage. My children happily used two of these coolers to make Valentine’s Day Mailboxes to take to their school Valentines parties. What other creative ways can you think of to use those coolers? Dress Ups. Did you have dress ups in Preschool? A box of costumes that facilitated becoming someone or something else? These days I feel like I am constantly wearing a costume. My first MS symptom was numbness in my right hand. After a few weeks, the numbness escalated into outright pain. Not being able to use my hand interfered with my ability to blow dry and straight iron my hair. So I gave up the hair battle and have gone naturally curly, which is much, much easier. Do I like my curly hair? I’m trying to. I still feel like it’s not really me (ironically), hence the “costume,” but I’m trying my best to adjust. Story Time. Where do we get our MS stories? From the Internet of course! 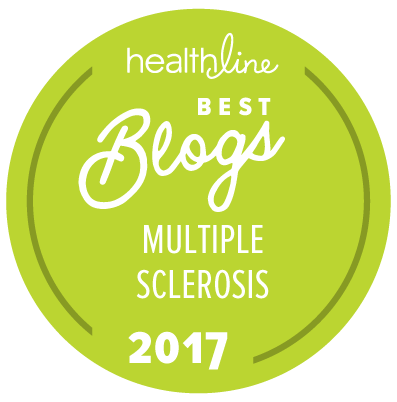 There are many great online resources for MS. In the early days soon after my diagnosis, I spent time reading all kinds of information online. After a while though, it just got plain depressing. The uncertainties of MS can be scary for newbies, but it is important to be informed of all the good, the bad and the ugly. Knowledge brings power! Field Trips. We get to take field trips too! Trips to your doctor’s office can be fun! Ok, maybe not fun, but at least helpful. And maybe if you’re lucky, you’ll get a sucker. Play/Game time. Are you exercising your brain? I’d never played a Sudoku game in my life till a couple of months ago. Try it, your brain will thank you! Wash your Hands. We learned in preschool how to wash our hands. This is more important than ever, keep those germs away, keep yourself healthy. Always remember to wash your hands before injections. Graduation! I’m going to go out on a ledge here and assume you graduated from preschool with flying colors. I did too! This gives me hope that sooner or later, I will be a graduate of MS preschool. Wish me luck. It was Elmo that finally did me in. Yes, Elmo, as in Tickle Me. But maybe that is not fair. While he was the catalyst, it was really his helpful, female puppet friend Betty Lou that was the root of my actual demise. It didn’t help that I came late to the magic and wonders of Sesame Street. Growing up in the early seventies, public television was a somewhat radical concept and the new children’s programming seemed to threaten subversive and counter-culture undertones in my mom’s mind. The Brady Bunch and The Flintstones were much healthier- nice, safe family values. As I grew out of my toddler years her television concerns continued. The Partridge Family was NOT ok. The fact that Mrs. Partridge was traveling around the country in a bus and allowing her children to perform rock concerts in front of out of control teens was EXACTLY what was wrong with the country. At least that’s what my mom always said. By the time she became a grandmother she relented somewhat and relaxed her television rules. I would watch Sesame Street with my four year old nephew and we enjoyed it immensely. I remember rolling around on the floor laughing and crying after a recent breakup with some guy or another while Patti Labelle sang “How I Miss my X” to a very sad looking X. I thought the scene was adorable and was speaking directly to my heartbreaking soul. My nephew looked at me as though I was nuts and ran off to play with his toy fire engine. Anyway, back to modern day. I was in the midst of a horrible month filled with paperwork, appointments, highs, lows, good news, bad news, good advice, bad advice and whatever else one can throw into a month. After a frustrating breakdown during appointment number six, it was recommended that I see a therapist. Thus it was that I was at appointment number seven in the lobby of the one therapist that took my insurance and answered the phone when I called. Much to her dismay as it was her lunch hour, I was an hour and ten minutes early. No, I hadn’t bothered to check what time I was due there. My MS brain knew the time. While she handed me more paperwork to fill out I asked about her practice. “No,” she told me, “I don’t exclusively treat children.” It was hard to believe based on the emotion charts, animal posters, blocks, and teddy bears that sat in her waiting room. I started the paperwork while I listened to her pack up the hundreds of Legos I noticed on the floor of her office when she opened the door to greet me. My mind continued to swirl with all that had piled up that month and of all the things I had to do. But it was my fault I was early (apparently my MS brain knew something that her planner and my calendar did not). And so, with this round of paperwork done, I grabbed the thing closest to me to read. It was a book from a Sesame Street series called Sesame Street Library. In it, loveable Elmo ventures into the library looking for a Little Black Puppy. As he searches he gets distracted from his important task by story hour. I do that all the time. Could Elmo have MS too? He meets his buddy Betty Lou and, when asked, remembers his mission. Betty Lou offers to help. She gives him all library info he could possibly need and then produces a book called, you guessed it, Little Black Puppy. Poor Elmo has been misunderstood. I can relate to that too. More evidence our furry red friend might be afflicted with a myelin damaging illness. It doesn’t end there. Betty Lou is a dear friend after all and really, really wants to help so she proceeds to find several other detective books to help Elmo in his search. Elmo excitedly thanks her. That’s when I lost it. In the lobby of therapist’s office who doesn’t just work with kids even though the only things in the lobby are kids stuff, I proceed to yell at Betty Lou. Poor Betty Lou. Perhaps she didn’t deserve my wrath but she was not alone. Elmo was next on my “need a good talking too” list. I suppose the moral of the story was that you can find anything in a library. But I have yet to find a dog there and in my current state, and not being a kid, the message was lost on me. Perhaps my outburst caused the therapist concern. She called me in and handed me ten more pages of paperwork to take home and fill out at my leisure. She asked me what I was looking for, therapeutically speaking. Then she told me where I could research the answers to what I was looking for. She recommended some books. I smiled and expressed all kinds of false gratitude, just like Elmo. I am even more convinced than ever that MS has got him too. 1. Dragon naturally speaking voice recognition program. 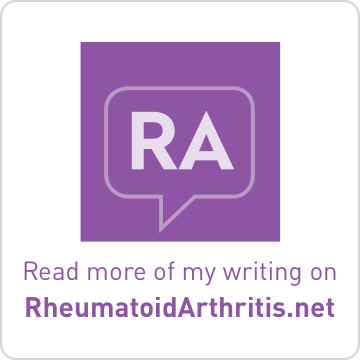 Since I am no longer able to type, thanks to this goddamn Multiple Sclerosis, and I am paralyzed on my left side I am using the voice recognition program for my computer every day when I write. It has saved me from untold angst, frustration and exhaustion. Having MS makes everything exhausting so something as wonderful as this program makes it fun again to do what I love. Of course, it makes some serious errors and sometimes refuses to curse for me. But what the hell, it’s a small price to pay. 2. Ex N Flex. These machines are really great for people who need to exercise their arms and legs and they are recommended by the Multiple Sclerosis Society. I use them every day and without them I would be at a loss. They have my highest kudos and their customer service is bar none. 3. e-books. I read a lot and before e-books I had a hard time holding books properly and drop them often. Because I have to spend quite a lot of time in bed because of MS and read tons of books and I am so thankful for this wildly successful adventure. 4. e-reader. There are so many kinds of readers on the market. I am using the Samsung Galaxy tablet. It’s just the right size for me to read in bed and has Internet features and lots of apps so if I need to look up something while I’m reading, the information is right there in my hands. 5. Handy ride transportation system for people with disabilities. 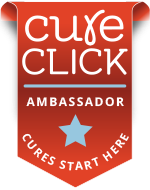 This wonderful program is based in Dallas, Texas and I don’t know what I would do without it. With my wheelchair I am no longer able to get in and out of our car and these wonderful handicapped accessible buses just lift me up or down the ramp and we’re off on another exciting adventure. Without it I would be stuck between a rock and a hard place. 6. Invacare alternating air electric mattress. About a year ago I was hospitalized for many months with a very serious bedsore. When I got home I bought an Invacare air mattress that is the same type that was used by Christopher Reeves. It automatically rotates my body from one side to the other every half an hour and I love it. No more sores. 7. Life Alert. Of all the good things that I’ve done to help myself, this is probably the greatest. It has saved me from countless injuries and the countless times that I have fallen I have had five or six gorgeous fireman pick me and put me back where I belong. This is the number one program you need to get if you find yourself in danger. Believe me you will thank me. It’s a wonderful system and could possibly save your life. 8. Certified home health care aide. Oh, happy day when my present home health care aide showed up at my door. It’s been a long and bumpy road to try and find someone who is kind, professional, and honest. I found her and I love her. If you need help start the process. It’s well worth it. 9. Catheters. Another stinky piece of business but what can you do. The catheter was invented by Benjamin Franklin when his brother was having trouble in the nether regions so we can thank our wonderful forefather for helping out. He would be proud to know what his grand invention has done for mankind. And I can attest to that fact. 10. Bedside commode. My bathroom is small and my wheelchair is cumbersome so I decided enough is enough. There were several times when I had to be rescued by Life Alert and one time I actually broke a rib trying to get onto the toilet. I need help to get on and off the commode but Multiple Sclerosis affords us very little privacy. Embarrassment and humiliation are synonyms for MS. The alternative was just too awful to concede. These are all steps that I took one at a time over the course of years and looking back on it now I see that each one of these 10 things has added a little more independence to my life and I hope to yours. This concludes the 110th edition of the Carnival. The next Carnival of MS Bloggers will be hosted here on March 29, 2012. Please remember to submit a post (via email) from your blog of which you are particularly proud, or which you simply want to share, by noon on Tuesday, March 27, 2012. Thanks for doing this, you are awesome!! Newbie, are you for real? Not doubting, just this is one of the best summations of MS "stuff" that I've come across! Rest of you, well, I am amost humbled out of not putting my link up. 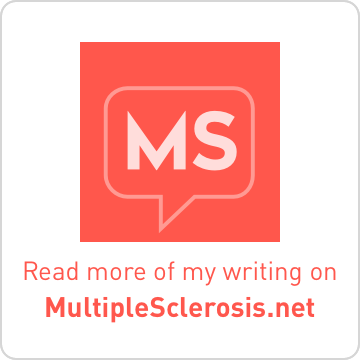 I am ALWAYS (on blog) trying to write about my MS and how it has scrambled my brains. People who read it have said I could really make something of A Story with some editing. Okay, two people. Okay, Newbie humbled me too, but I can't concentrate to re-write the above and continue to my point? But that is my story, I try to edit, and come up with, "well, hi,"
ANYway, this is one of my best scatterbrains so far, and I want to share (in my greedy way, so I will feel less alone). Anytime you would like to share a post in a Carnival, please just send me an email. I'd be glad to do so.